This is a light healthy meal that is easy to put together. We like spice at our house, so we make it pretty spicy, but you can add as much or as little saracha as you like, according to your taste. 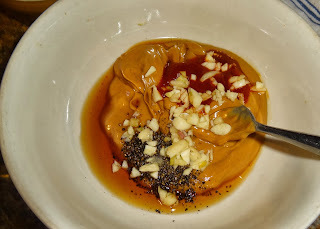 In a medium sized bowl combine the peanut butter, saracha, sesame oil, vinegar, soy sauce, garlic, and pepper. 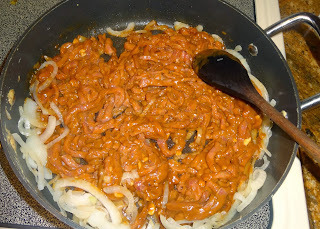 Add the beef, and let marinate, stirring occasionally, for at least thirty minutes. In a large skillet, sauté the onion in the cooking oil, over medium heat, for three minutes. Add the beef and the marinade and cook the mixture for another five minutes. Add the green beans, and continue cooking for ten to fifteen minutes, or until the beans are done. 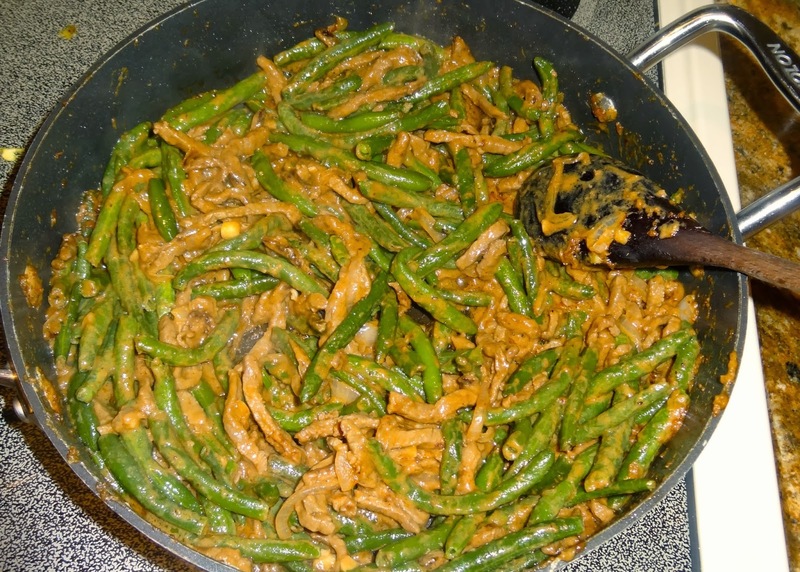 Serve over brown or white rice, and enjoy!